The best race we’ve seen in a long time? 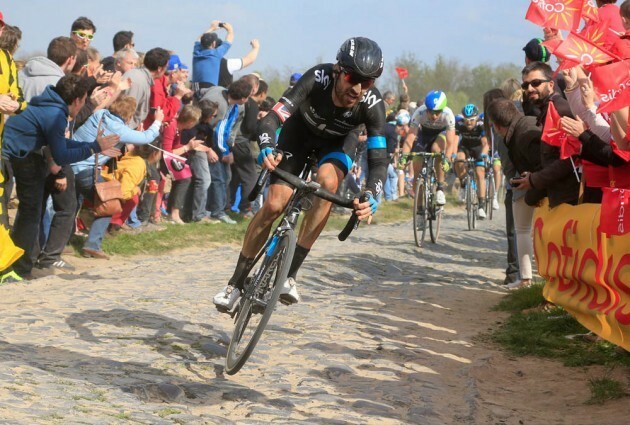 The 2014 Paris-Roubaix must surely go down as one of the most exciting races we’ve witnessed in a long, long time. 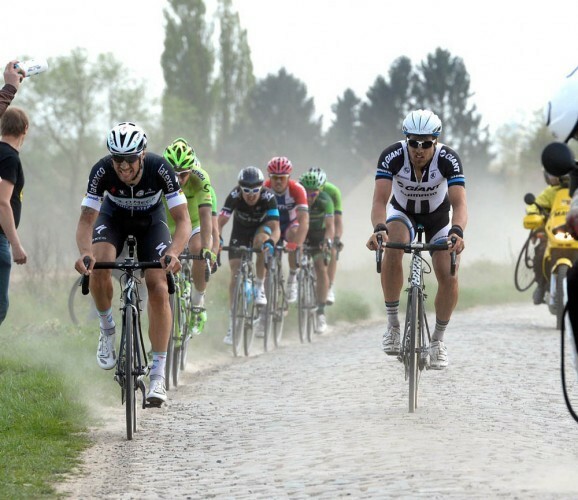 Although the Tour of Flanders last week had us all guessing right to the line, the drama of Paris-Roubaix had a lot more going on until Niki Terpstra jumped away with 6 km to go to claim the win. This one really had it all; history making – if Tom Boonen (Omega Pharma-Quickstep) had won he would be the first rider to win it 5 times; battle royale beckons – Boonen, Fabian Cancellara (Trek Factory Racing), Peter Sagan (Cannondale) the three best Classics riders of a generation together on equal form; Sir Bradley Wiggins – the first Tour de France winner to start the race since American Greg LeMond in 1992; not to mention the crashes, crowds, team work, race specific kit on display and most importantly – cobbles. Here are a few thoughts on the race. Will we ever see a group of favourites like this in a race again? When the two leading groups came together with 9km to go, it was a gathering of some of the biggest names in the sport and all of the pre race favourites. There hasn’t been a final selection like this in a one day for a long time and probably won’t be for a long time to come either. Each of the pre race favourites had a go at some point during the race. Boonen was the most visible and animated with constant gesticulating to his various break away riders, did he waste too much energy early on? 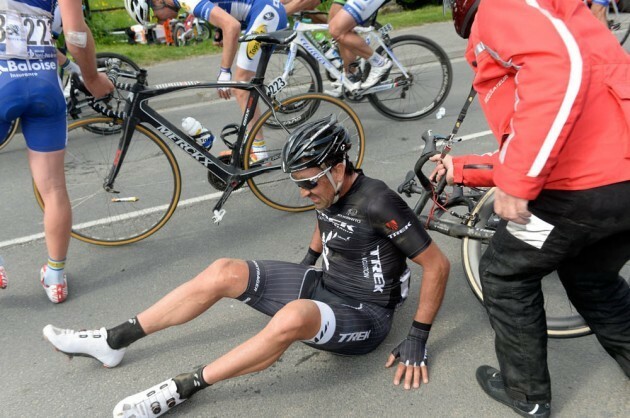 Fabian Cancellara split the group with his attack and looked calm all day until when he needed to show his strength. Peter Sagan wasn’t afraid to go it alone and then share the work when joined later, also happy to play a poker game to get others to close gaps. 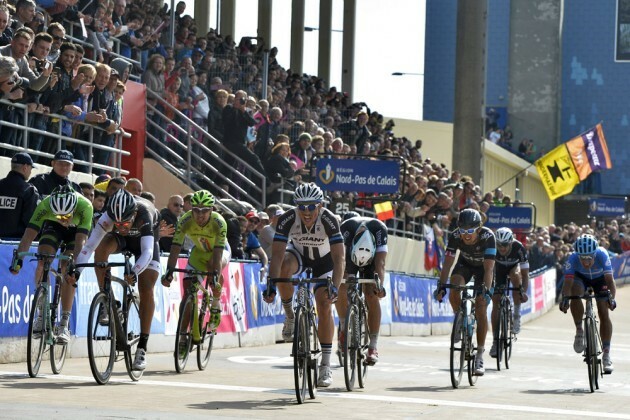 Sep Vanmarcke (Belkin) shadowed Cancellara but wasn’t afraid to have a go himself. Thor Hushovd (BMC) showed flashes of his old self by driving away on the cobbled sections and help shape the race. Bradley Wiggins and Geraint Thomas (both Team Sky) also showed their class by driving the attacking groups and closing gaps. Last but not least Niki Terpstra (Omega Pharma-Quickstep) showed that cunning is as good as strength by launching his race winning attack at just the right time and driving it home to the line while everyone else marked each other out of it. How good was it to see Sir Bradley Wiggins getting stuck in again? Sir Bradley Wiggins made the 2014 Paris Roubaix a target and boy did he look like he was in control and not afraid of the race. Now that he has freed himself from the shackles of grand tour leadership he was able to throw caution to the wind and become the first Tour de France winner to ride the event for over 20 years. With a more focused Classics season approach he really could do big things next year, we’d love to see it. Hayden Roulston (Trek Factory Racing) became the least liked member of the peloton in about half a second when whilst on the front of a rampaging peloton he jumped from the kerb to the road and fell promptly bringing down a host of favourites and slowing most of the bunch. This has got to be one of the best post race cycling images I have ever seen. It’s just three friends who’ve ridden all day taking a rest on some grass and swapping stories. This is a scene we’ve all done at sometime in our cycling lives, the fact it’s some of the world’s best cyclists after one of the world’s hardest races seems blocked out when you take the crowds and surroundings out of it. Bet Geraint is telling whoever owns that bike not to lay it gears down. Tagged bradley wiggins, pro, pro cycling, pro racing, sir brad, wiggo. Bookmark the permalink.